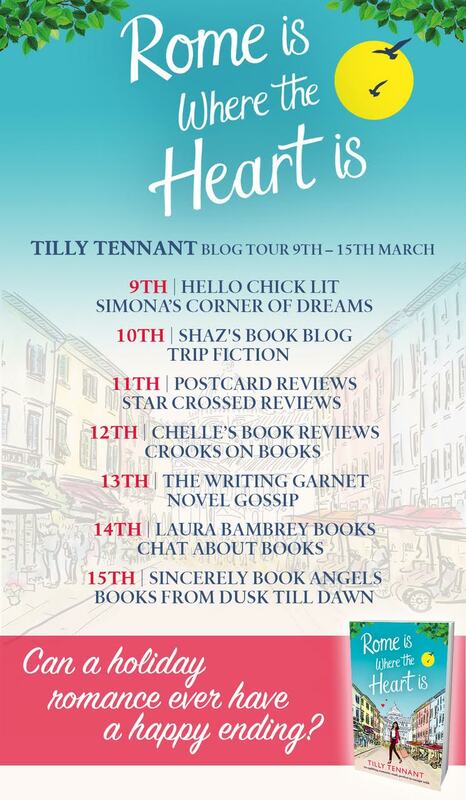 ROME IS WHERE THE HEART IS by TILLY TENNANT. I love a book that makes me laugh, it definitely warrants a 4 star from me when it achieves that but when it goes one step further to make me snort tea, then it quickly moves up to a firm 5 star rating and giggle I did, time after time. 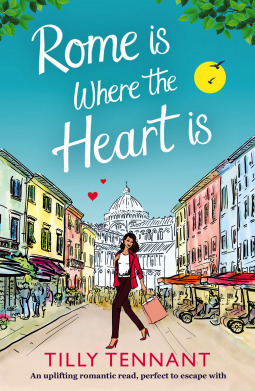 After finding her cowardly husband trying to sneak off from the house they lived in together, Kate decides that she needs to get away from the dull and gloomy shores of the UK and head for one of the most romantic cities in the world, Rome. I mean even saying the word Rome makes you pucker your lips. Well you know those times in your life when you think things can’t get worse, and then they do, well that is Kate at the moment and she seriously begins to doubt her ability to judge men’s characters. Is she really so gullible? So when circumstances cause her to be involved with the police twice in two days, it makes you wonder if this is all bad luck or a twist of fate?